Starting Tuesday, October 2, we will resume lunch service! Starting Sunday, October 7 we will resume our Sunday Brunch hours! The restaurant is also available for private events at any hour of the day. There is ample metered street parking in the neighborhood as well as fee based parking lots within walking distance from the restaurant. The street car line runs down Carondelet Street in front of Balise. There is a stop on the corner of Girod just before the restaurant. Please contact our Events Coordinator, Sara Roberts for details on how we can cater your next event. 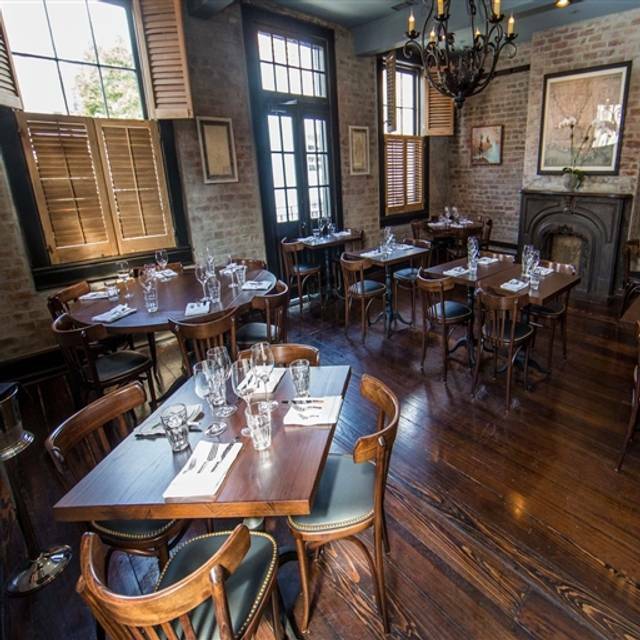 Balise is a tavern restaurant located in the Central Business District of New Orleans. 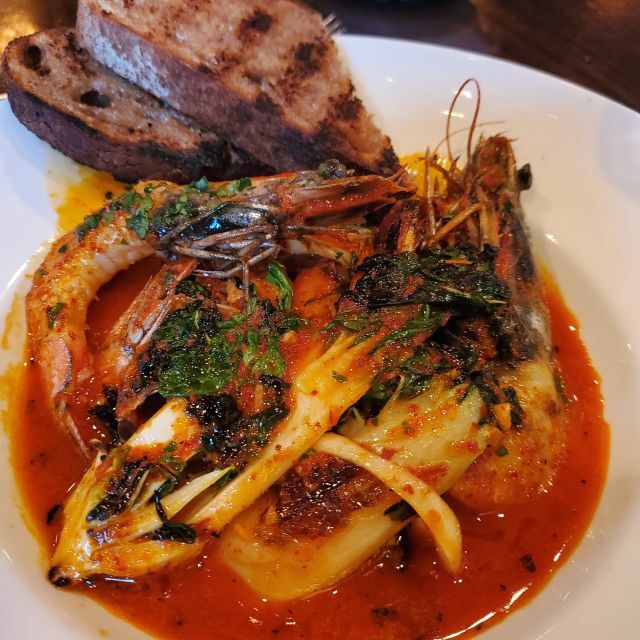 This is the second restaurant from husband and wife team Justin and Mia Devillier, co-owners of the renowned Uptown restaurant La Petite Grocery. Balise evokes the bygone era with a recognizable Old-World, New Orleans feel. Set in a 19th century Creole townhouse, Balise features a Louisiana-focused menu created by Chef Justin Devillier (James Beard winner for Best Chef: South in 2016) and a world-class beverage program created by Bar Director, Jesse Carr & Wine Sommelier, Jonathan Sanders. The name Balise is derived from one of the first settlements at the mouth of the Mississippi River’s Birdfoot Delta, which controlled commerce coming from the Gulf of Mexico to New France. Battered by the river and sea throughout its existence, Balise pays tribute to the resiliency and determination of this settlement – qualities that are still seen across the Gulf Coast region today. I would make a qualified recommendation. This was my third visit and the quality seems to have fallen off a bit. I ordered the spicy shrimp dish which was almost too hot to eat. When I mentioned this to my waitress, she replied that there was a new line cook who had a heavy hand with spices. No apology. No offer to do anything to make amends. The staff was very friendly and knowledgeable. The wine and drinks list were both very unique and the staff was happy to help pick something out. The food was great and the prices very reasonable. We would definitely go again. Incredible appetizers, average entrees. 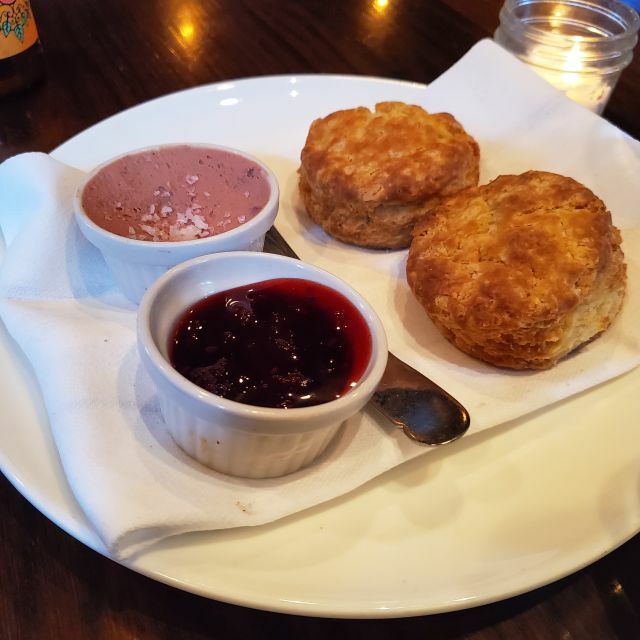 Get the chicken liver pate and smoke fish dip at the bar! It was the best meal we had in New Orleans! Delicious cocktails and food. I think our waitress forgot to fire our entrees so we had to rush through dinner in order to be to an event on time, but I think it was an honest mistake. Otherwise service was good. Would definitely return here and recommend to others. food was mediocre at best. Service was earnest but fell short of working well. Basically, a lot of nice people accomplishing little. We were excited to try this tavern, Rigatoni was great and served hot but has to ask for spoon to share this starter . Chicken Confit and fish and chips were at best average and french fries were cold. Service was unattentive on a slow Tuesday night. We were excited to try this restaurant but left very disappointed. We had a delicious dinner. The service was excellent. Will go back. Try the shrimp and Brussels sprouts. Delicious. The service was great. Rigatoni, Pan Roasted Shrimp & Fish and chips all excellent. Cocktails were perfect. Great service from the very start! 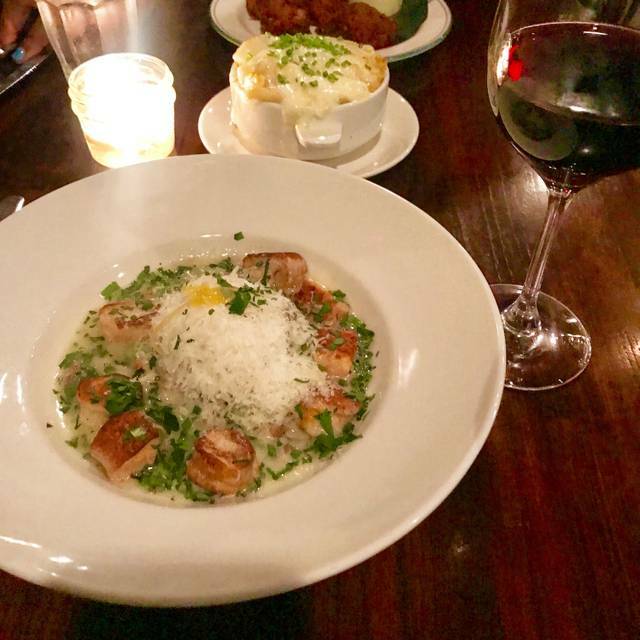 Jeffry F. was outstanding, suggesting excellent wines & food. The pork belly appetizer was amazing! 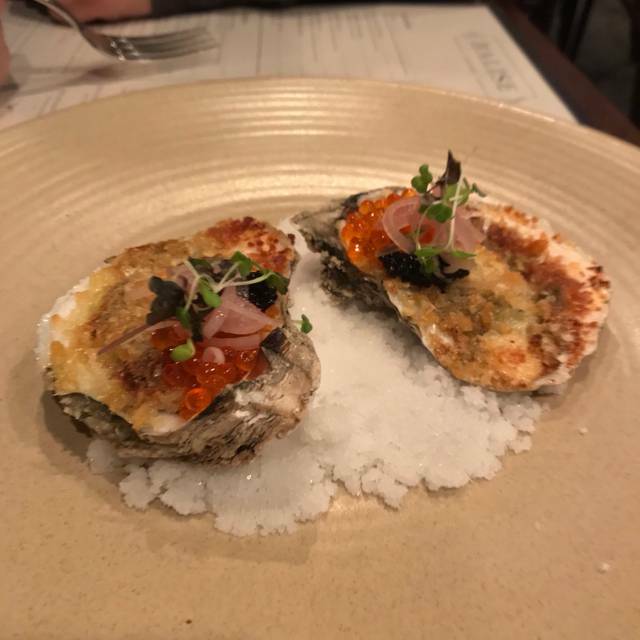 The food was about the best we have ever had in NOLA and will certainly go back again. The service, the room, the greeting at the front door perfect. The only complaint I had was my main course. I ordered a hangar steak, medium rare with a chimichurri sauce. The steak was impossibly tough, with only a tiny amount of chimichurri. I would go back, but order something else. My dining companion ordered a Cobb salad with added crab which looked exceptional. The blistered green beans with fresh grated horseradish were sublime. Nice upscale pub with good food. The food is very well prepared and the ambiance is as advertised. Exposed brick walls make this feel like old Bew Orleans. The waiter was a little new so he lacked knowledge but overall the experience was enjoyable. Wonderful food and experience. The chicken confit and fish special was outstanding! We will definitely be back. Stopped in for an early Sunday dinner. 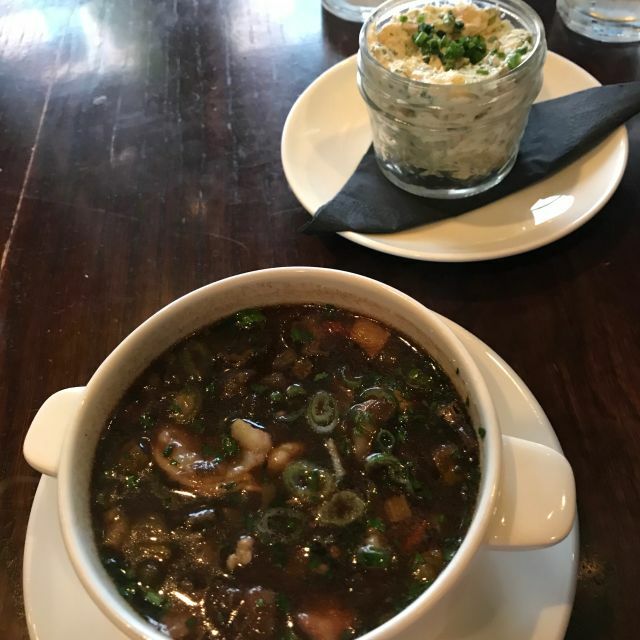 Had the gumbo and potato salad, both were very good. Gumbo had a smokiness that was delicious. Followed with a special appetizer - meatballs on polenta. The ‘red gravy’ was delicious - tasted of fresh tomatoes. Incredible off menu appetizer with honey roasted carrots barley and a lemon meringue style base. Sounds strange but was absolutely amazing!! Well tonight’s dining put an unfortunate tarnish on our love for Balise. 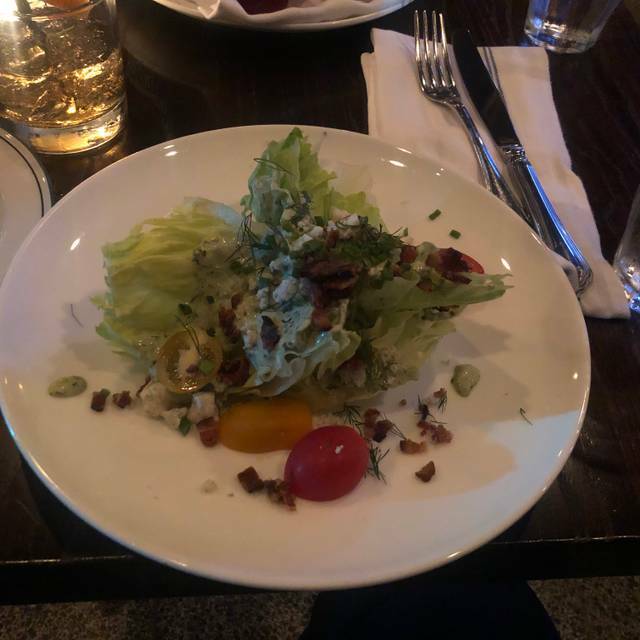 After dining at Balise numerous times (we are New Orleanians) we still thoroughly enjoyed the food and our waitress was wonderful but our second hand dealing with the management was horrible. After we were seated we asked if we could shift to the right, keeping our table for two but moving the table for four so that we were at the end of the configuration. This was requested for two reasons : 1. We could sit next to each other on the end, being able to hear each other better for conversation and 2) we like to sit next to each other rather than across from each other (we are 63 years old). Simple request, we thought. The host told us he had to check with the manager. The manager said no because they were expecting a party greater than four to sit in the area we wanted to move to. We graciously said ok.
Well, the area I speak of was inhabited by TWO PEOPLE, not even four ( or five). If in-fact there had been a reservation for more than four people for that area, surely there would have been appropriate place settings. I realize to some this may seem like a lame complaint, however to us (loyal patrons of Balise) we thought it would be “no big deal” and we were particularly unhappy when the manager’s reason for denial did not play out. This puts a damper on our respect for Balise management! The staff was helpful in explaining dishes and we lucked out by showing up for happy hour so we were able to try a few appetizers. Do not miss the chicken liver mousse! The crab cake was fresh and the tarragon sauce wasn't overwhelming, and the shrimp pan bake had the perfect kick. The food is always excellent. My cocktail seemed a bit small (a manhattan) so I ordered another. I would recommend healthier sized cocktails. Love the green beans and french fries. No real complaints. We will be back. Great food and great service! Was visiting New Orleans, will be back soon! Confused service. Told them we had an engagement in 90 minutes when we sat and we got our food after 75 minutes even through other parties seated after us for their food first. Manager offered us dessert as we needed to rush out. We live in this neighborhood and we will not be going back — too many other, better places to enjoy. 2nd time to eat at Balise. Great drinks and great food!!! This was our first time at Balise (lunch) and we were more than impressed with each dish we sampled. The crab gratin, fried oyster sandwich, and fried chicken sandwich were all maxed in flavor. Great service and staff. Looking forward to returning for dinner. Terrific inventive food. Very friendly and competent staff. A real find! The restaurant was adorable, we made a reservation and got there about 20 minutes early but were able to get seated immediately. Due to the close quarters, the restaurant was incredibly loud with everyone talking. My wife and I were basically yelling at each other (this was supposed to be a romantic dinner.) Our food was mediocre. She had a fried chicken sandwich and the chicken was about 3x too big for the bun. I had is hand chips that for $23 came with 2 small pieces of fish and it was very oily. Our server was great, the host was great, the restaurant cleanliness and food presentation was great. We also ordered the sticky toffee pudding for dessert and the cake was extremely dry and the pecans tasted burnt. Overall the food was the most disappointing part of the experience. Valentine’s day at Balise was everything I had hoped. Small, quiet place, excellent service and excellent food. We had the smoked fish dip, served with delicious & hearty whole grain sourdough toast for starters. Our entrees were hangar steak with chimichurri and the redfish special. Both were perfectly cooked and hot off the grill. The food here is always creative and tasty. The same is true of the service. Also, there are both small plates and full sized meals available. The wine list always has a variety of very good and appropriate wines available by the glass. Also, the bar is top notch. I usually "need" a Sazerac, and they always provide a good one. Loved it! Service could’ve been quicker. The food was good, but the worst service I’ve had in years. The waiter took our drink and appetizers order and never came back. It took 30 mins (literally we timed it) to get 1 drink. Some one else had to bring out our drinks and take our dinner order. We didn’t even see our waiter again until he brought the check. Service was so bad, we won’t go bad. Too many great places in New a Orleans for a second shot. Wonderful place. Great food; modern take on classics. Highly recommend. 7:30 weeknight dinner. Our fist visit to Balise, we live in the area. Nice ambiance, pleasant staff. We were attracted by the brief but well balanced menu. The blue crab/brie appetizer was rich and very tasty, we thoroughly enjoyed it. After we received the appetizer, more guests arrived and we overheard the waitress informing them that they were out of crab and other items. Disappointing considering that it was only 7:30 on a Wednesday night. We ordered the chicken confit and seasonal fish (grilled cobia). The chicken was a fairly small roasted leg quarter atop a sauce that tasted like buffalo wing sauce, with a side of greens. Im not a big eater but was disappointed by the meager portion ($21). My wife ordered the cobia. Again, it was a small portion for the price. Served with a side of grilled green beans and lentils (meh). Two cocktails, one glass of wine, appetizer and 2 entrees with tip=$140. Pricey for the portions we received, ran out of a few key items...While we enjoyed the atmosphere and our server was pleasant and attentive, there are too many options in the area for us to consider returning. I am so disappointed in my last visit to this restaurant. I contacted the manager to let her know why it was such a bad experience. She explained they were really busy and she would provide a gift card, so I could come back and see if they improved. In mail that day. Well, that was a lie. My food was overcooked, waited over an hour. Another diner with us did not get his order correctly. They charged one price for my drink at the bar and another at the table. And never saw our server, except occasionally, at best. If you want to eat here, make sure you come on a night no one else is there. Good luck. Nice and food was great! An unusual type place as it seemed very historic and had that feel. Great food in a relaxed setting. Able to hold a conversation easily.